Ah, is there a food as comforting as soup? Warm, savory, aromatic. 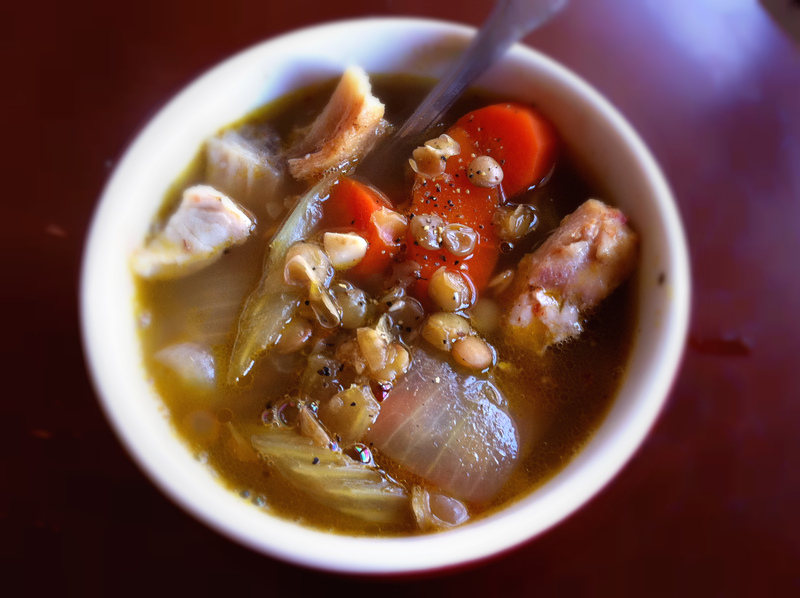 The perfect adieu dish for a cold cold winter that is soon to be over (tomorrow, in fact!). The problem with soup is that it’s often unhealthy. Now, I’m certainly not opposed to the occasional splurge on cheese and butter and sugar, but soup is one of those foods for which a serving size less than a large bowl is simply not socially acceptable here in America. And after you’ve been raised by your mother to finish all of your soup and mop up the bowl with a crunchy baguette, any sort of ridiculously unhealthy soup is like holding your health hostage. The solution? 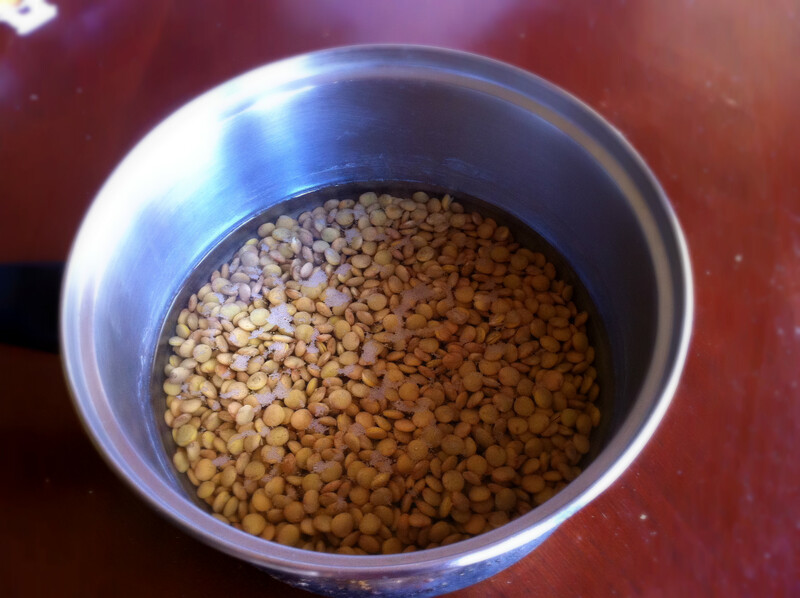 Adding plenty of lentils, one of my favorite proteinaceous and fibrous vegetables. They’re unobtrusive in terms of taste and they lend a great deal of heartiness. And they even look kind of cute. One of the best things about soup is its versatility. Add in whatever vegetables you happen to have on hand: cilantro, parsley, etc. 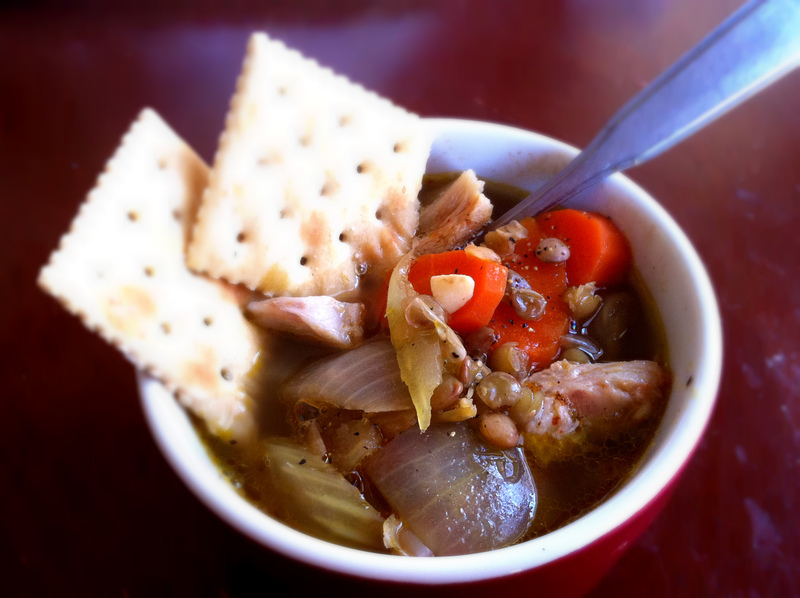 You can also throw in any meats you might need…think chicken lentil soup—yum! 1. Soak lentils overnight. This will save you so much time when it comes to cooking them. Trust me, I’m a doctor kind of not really. 2. Chop up the veggies. 3. 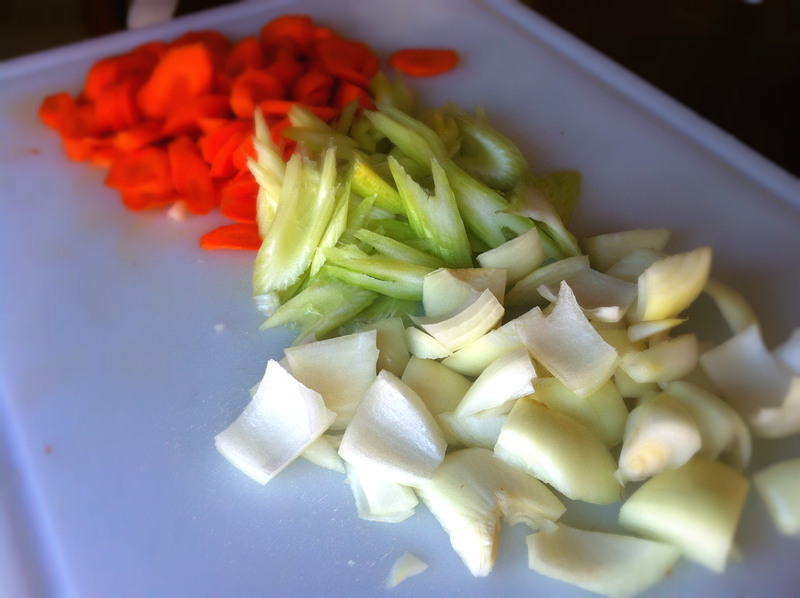 Sauté together garlic, carrots, and onion. 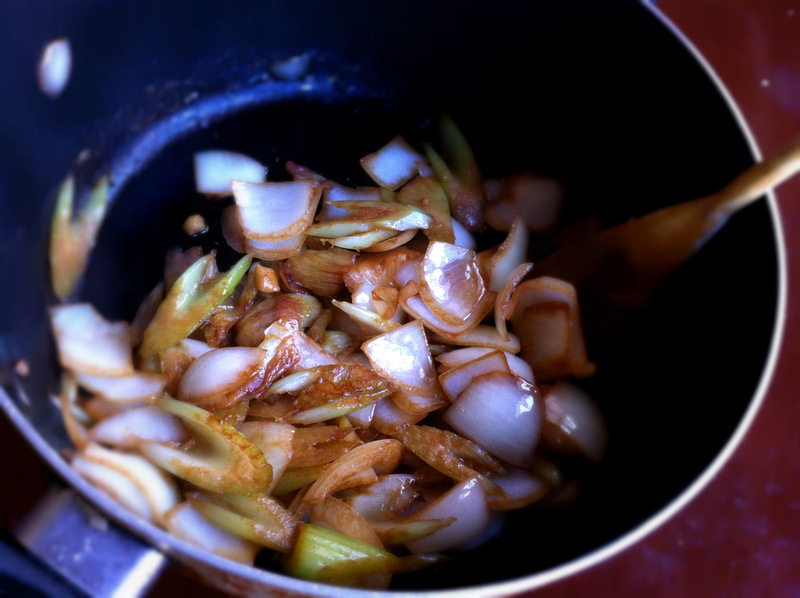 Add whatever meats or other veggies you have on hand. If you give up here, you have a delicious stir fry, so you really can’t lose. 4. Add in the water and soaked lentils, and then add a tsp of salt. 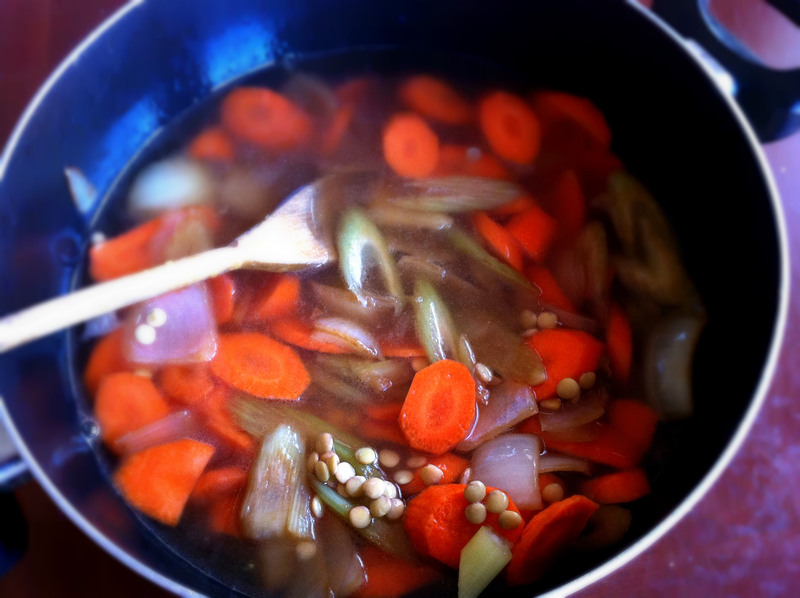 Keep at a low boil until the lentils and veggies are soft, about 15 minutes. This is the part where you praise cheeses for giving you the wisdom to soak lentils overnight. …with a few saltine crackers. So healthy I need a good dose of Dark Chocolate Ganache. Oh wait that’s healthy too. QOTD: What’s your favorite kind of soup? Looks delicious. I love that it only takes 20 minutes. Very comforting, indeed.